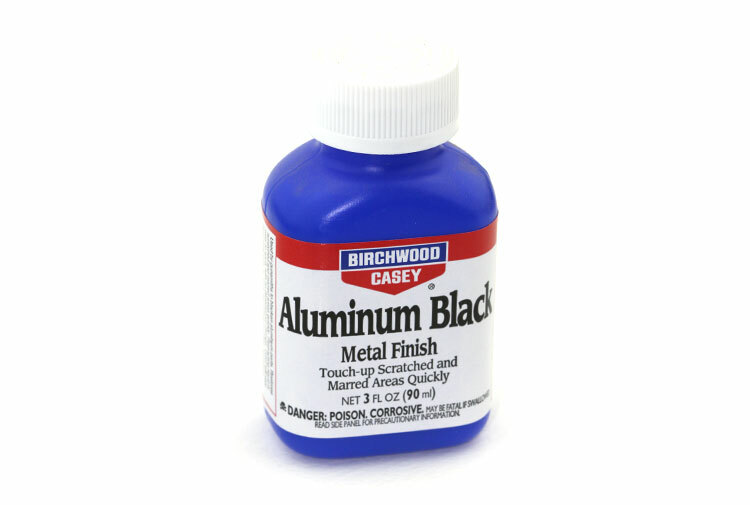 The solution to touching up black anodized aluminum parts that have scratches or are showing wear. This is ideal for repairing minor surface blemishes on black reel seats or reel sideplates, but it is not recommended for darkening large surface areas. It works with most aluminum alloys, though there is no guarantee it will work with all of them.